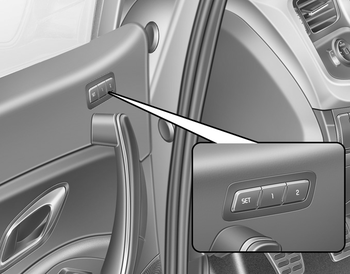 A driver position memory system is provided to store and recall the driver seat position with a simple button operation. By saving the desired position into the system memory, different drivers can reposition the driver seat based upon their driving preference. If the battery is disconnected, the position memory will be erased and the driving position should be restored in the system. Never attempt to operate the driver position memory system while the vehicle is moving. This could result in loss of control, and an accident causing death, serious injury, or property damage.